The motorsports production powerhouse – Mad Media, and UTVUnderground.com launched a remarkable new viral video today called “XP1K”. 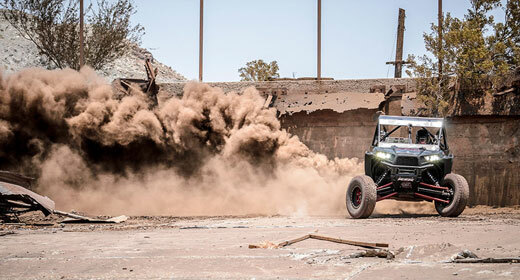 Directed by The Martelli Brothers, (best known for directing the first three Gymkhana films), XP1K features off-road champion and factory Polaris Pro UTV racer RJ Anderson behind the wheel of a custom built, 190 horsepower, 2014 Polaris RZR XP1000 UTV. The video is a non-stop blitz of off-road action, jaw dropping close calls, and precision driving – and features a climactic world record-breaking ending! The XP1K project was announced a week ago in conjunction with the release of the 2014 Polaris RZR XP1000 off-road vehicle by Polaris Industries at their annual dealer show. 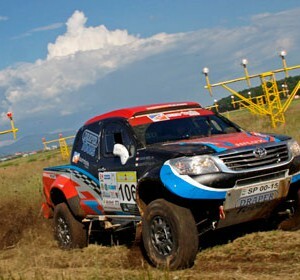 The official XP1K trailer was released on XP1K.com shortly after, followed by a teaser clip that was hosted by project partner Falken Tire. Both clips highlight the unique nature of the project, and feature arresting images of both the XP1K vehicle and the unforgiving, destructive backdrop that served as the location for filming. “XP1K is gnarly. We picked an abandoned iron mine in the middle of the desert and turned it into a sketchy post-apocalyptic off-road skate park. There were no road cones out there! It was all real concrete and consequences. We built the fastest, most powerful UTV on the planet. RJ got in it, and stomped everything we could come up with. Nothing in this video is fake – it’s 100% adrenaline. I don’t think people will ever look at a UTV the same way,” said XP1K co-director and Mad Media CEO Matt Martelli.